I’m so happy that Spring has finally arrived (on the calendar at least) but the warmer days and sunshine can’t be far behind! 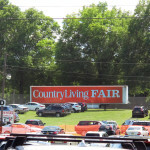 So it’s time to think about the fun and exciting variety of yearly events that are held at the Dutchess County Fairgrounds May 31- June 2nd 2019 in Rhinebeck NY! It’s just a 40 minute drive thru the lovely and picturesque countryside and stunning farms along the route from Hilltop House here in Amenia to the fairgrounds. 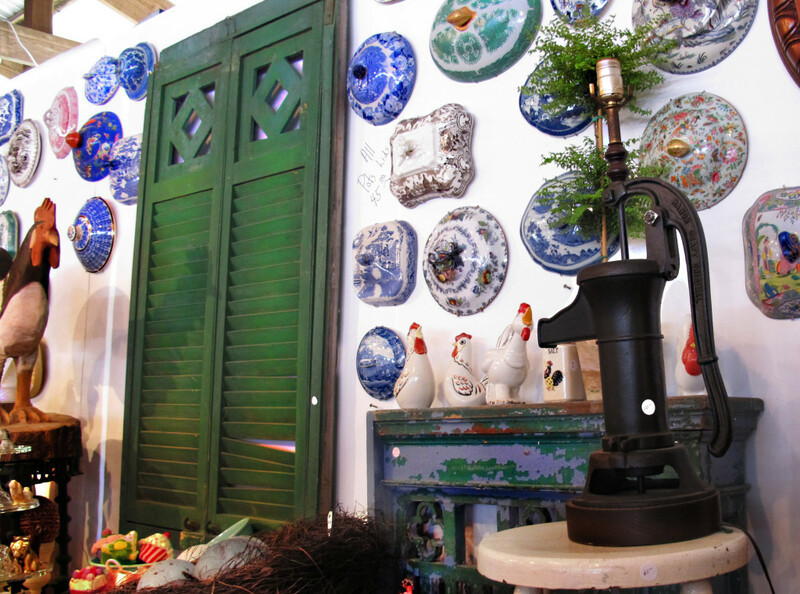 One of my very favorites is the Country Living Fair! click here Some call it junking! Making good of cast-offs is good for all of us; it produces less trash in the long run. The pendants above are made from old optometrist lenses–“do you see better now? how about now? and now?”–with nostalgic images secured inside. We made the photo big so you could see how wonderfully involving they are. 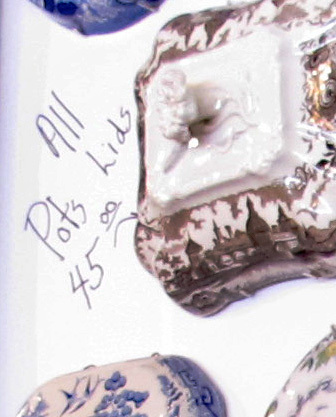 This photo above, shows a whimsical wall decor of pottery lids which have lost their bottoms long ago. I always thought that the lids were the first to break, “Auntie Em, I love these sweet potatoes, oops! Hot lid! 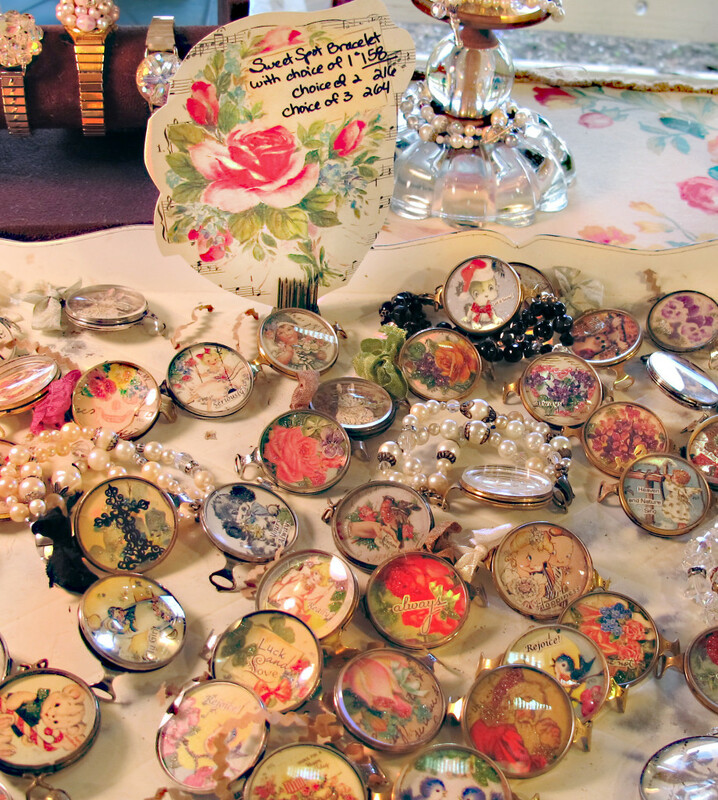 Sorry.” but someone somewhere pulled all of these beauteous pieces together and they made for a compelling display. And you know, there’s money to be made in them thar lids, even if you don’t have a bottom seeking cover, they’re very handsome just on the wall (come to think of it, I wonder if any of those were used for chamber pots?). This entry was posted in Bed & Breakfast by Sandy. Bookmark the permalink.